At Binniemyre Guest House we have a total of seven rooms which offer our guests a mixture of accommodation combinations. 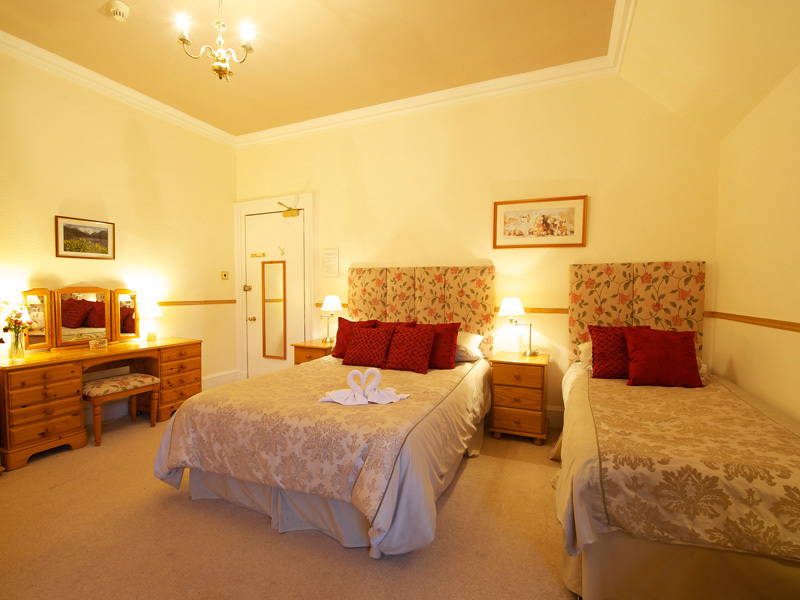 3 en-suite rooms – each of these rooms contain 1 double bed and 1 single bed with the ability to have an extra single bed if required for families. The en-suites contain WC, wash basin and shower. 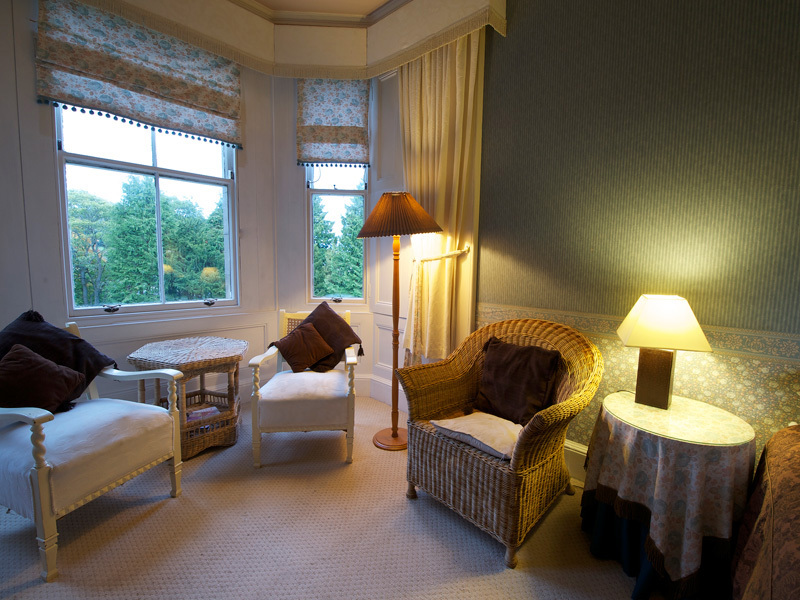 These rooms are large, with seating areas, 22” TV/DVDs and wonderful views of the gardens from the large windows. 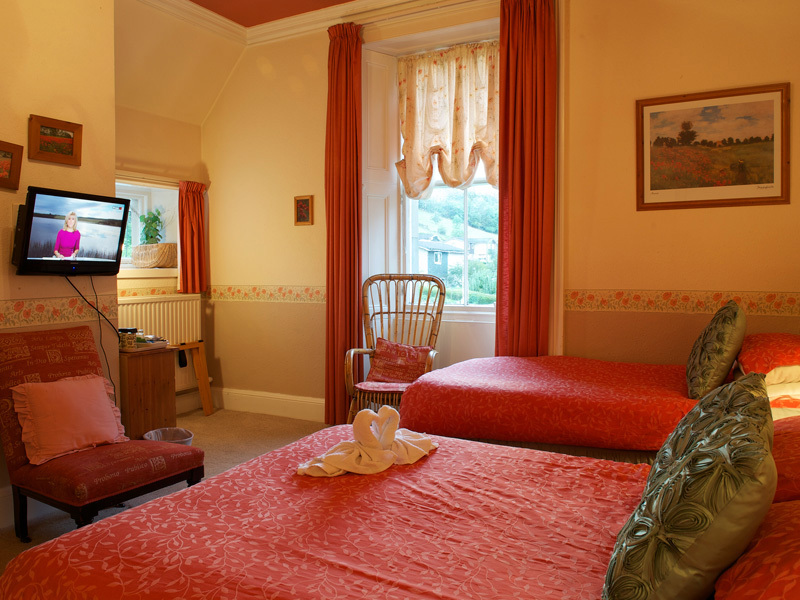 2 rooms (not en-suite) – 1 twin and 1 double/single. 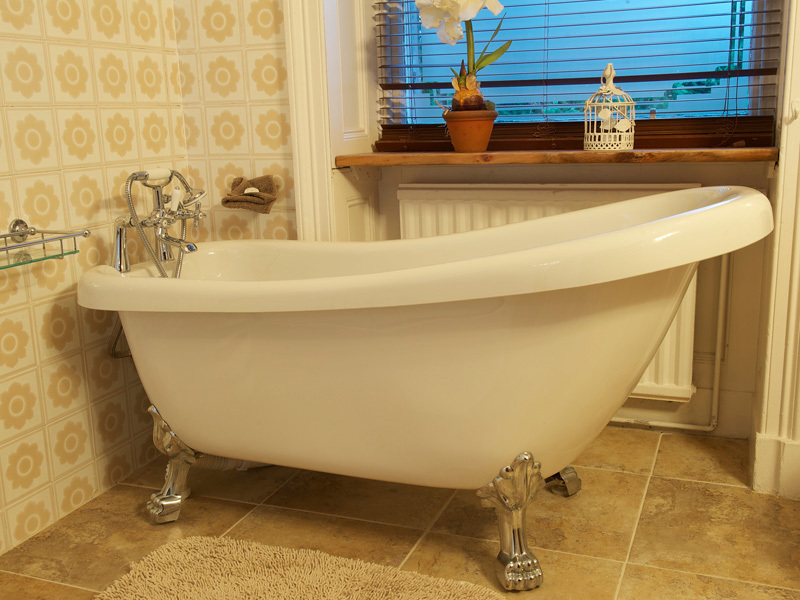 These rooms share the use of 2 large family bathrooms, one of which has both a 3/4 size roll top bath and a seperate shower cubicle, and the other which has a standard bath and shower. 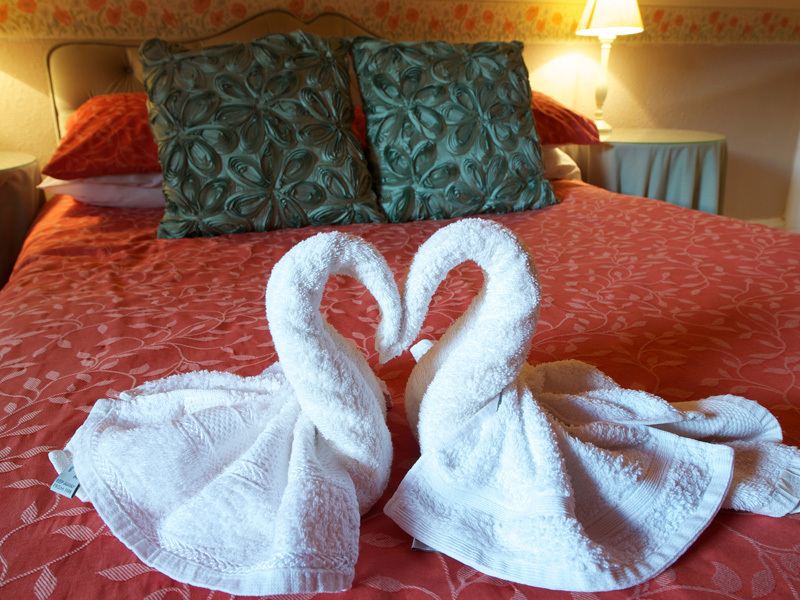 Those without access to en-suite facilities are also provided with robes in their rooms. 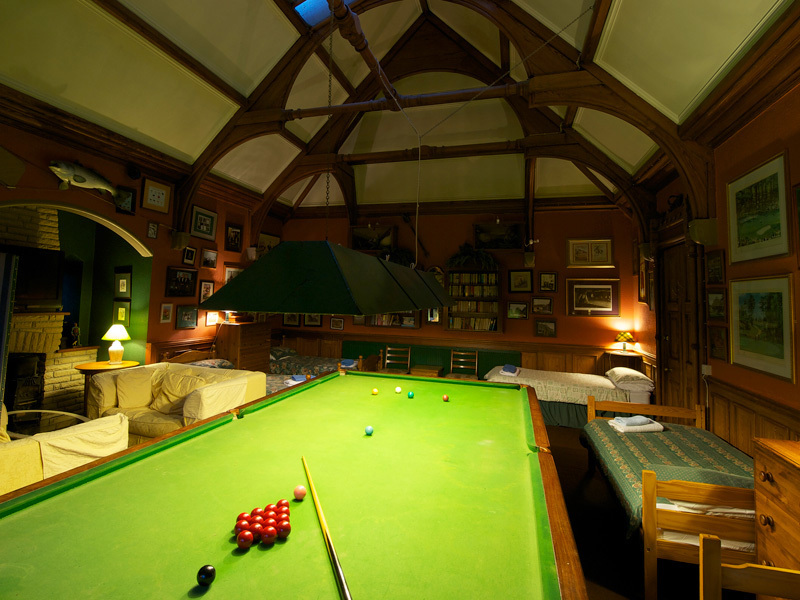 The “Snooker” Family Room (sleeps up to 6, not en-suite) – This very large room (which once housed the family chapel) has 6 single beds, comfy seating areas, a 40” flat screen TV, fridge and the added bonus of a full size snooker table in the middle of the room. 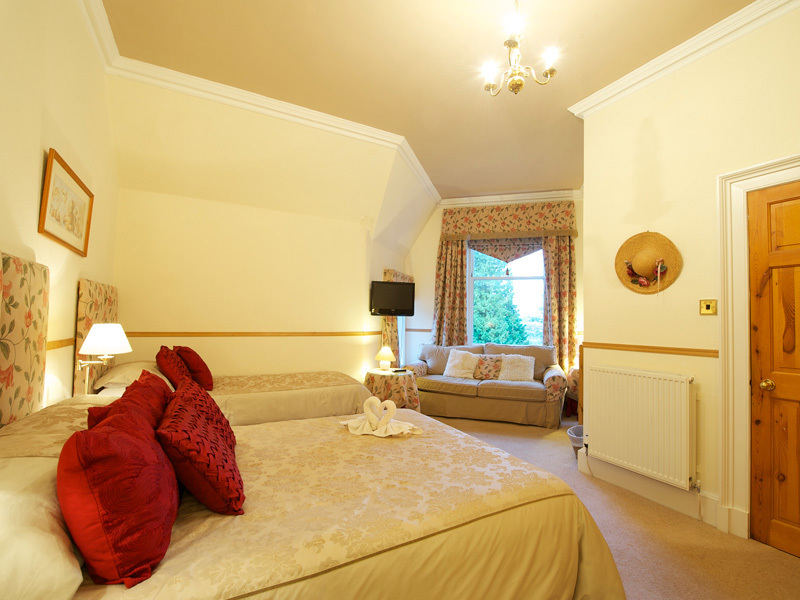 Suitable for groups of up to 6 people or families. Very popular with golfers and mountain bikers. 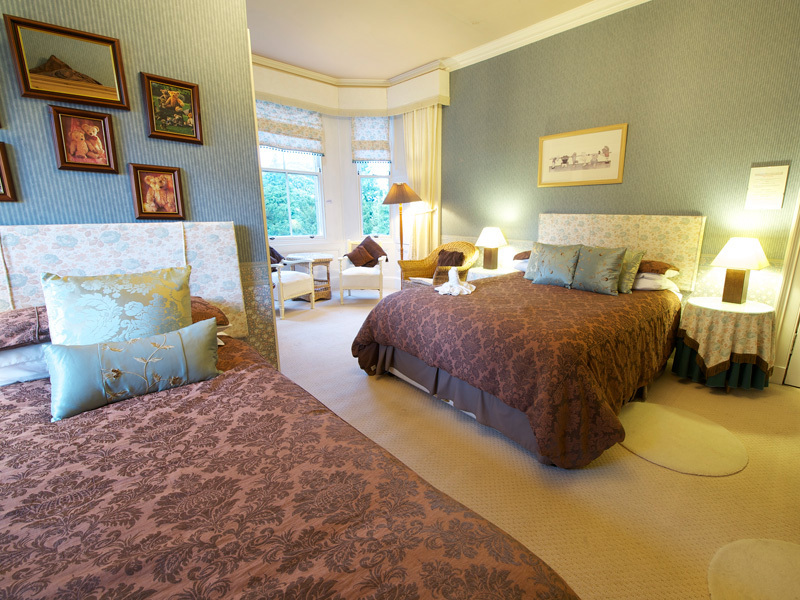 The “Garden” Family Room (not en-suite) – This large room is at ground level and has 2 single beds with a large pull out double sofabed. Facilities include a 40” flat screen TV, fridge and the added bonus of double doors leading out into the garden and summerhouse. This room is very popular with pet owners as they have direct access to the garden. Click on any of the images above to view them at full size.